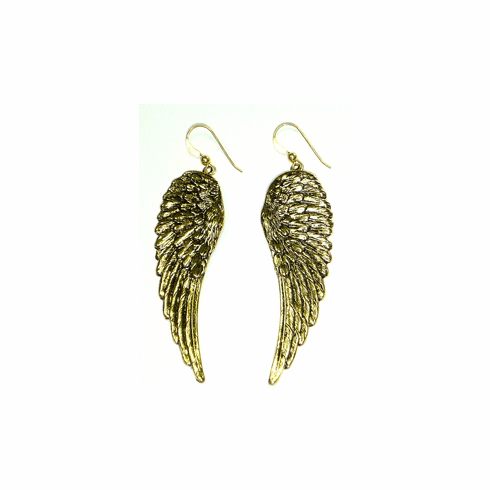 Adorn yourself with these beautiful 18 Karat gold plated angel wing earrings from Kipepeo. Approximately 2 " long. Made in USA.